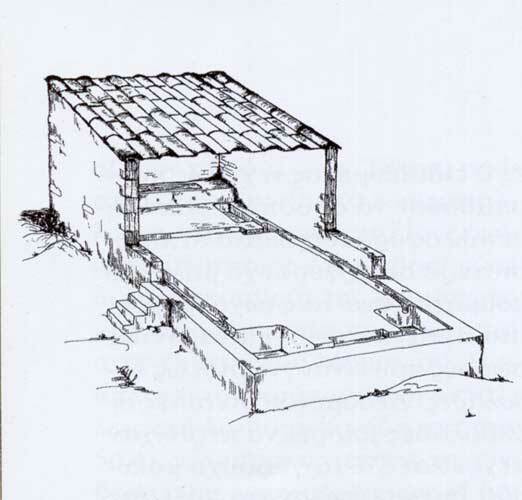 The ore washeries were designed to conserve and recycle the scarce supply of water. 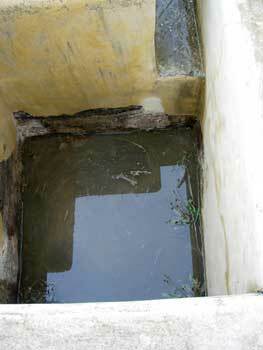 A water tank at the rear of the washery was filled by bucket (slaves) from the cistern. Pluggable holes in the front wall of the tank was used to inject water into moveable open pipes (troughs) containing the unwashed ore. The lead ore was heavy, so the impurities, which were lighter (or soluble in water), ran off into a channel where the water then ran into a series of settlement tanks. 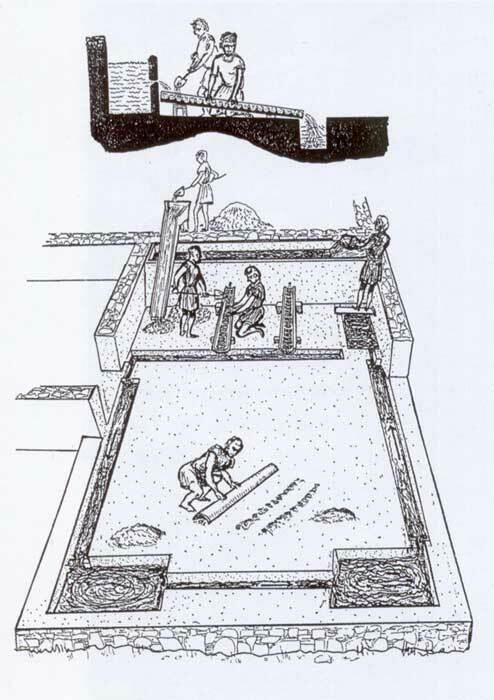 The washed ore could then be placed on the open area of the washery where it drained and the water collected by the surrounding channel system. So no water was lost and after the solids had settled out in the circular system of sedimentation tanks, the precious water was returned (by baling with a bucket) to the washery tank for reuse. The sediment would have to be periodically cleared from these settlement tanks as they filled-up. The build-up of dissolved minerals in this recycled water would probably have made the water quite toxic! summer and rain in winter. 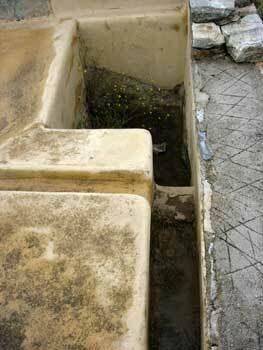 & located at the base of the nearby Ancient Greek Theatre of Thorikos. 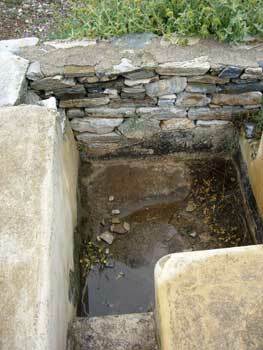 Details of the reconstructed washery.